number behind the pool, I think these requests are quite unusual. decreased by a factor of two at least for the same time. So: where to go and how? > running on a 12 core system. > as long as we keep the network running. >> I think these requests are quite unusual. >> Does anyone know what happens to these two keys? > cache for 10 minutes in nginx, which really makes life more pleasant. > "Action is the foundational key to all success"
to my sksconf and it seems this fixed majority of the EventLoop failures. I've added DB_CONFIG in KDB/PTree folders to get rid of DB archive logs that were causing plenty of IO load too. 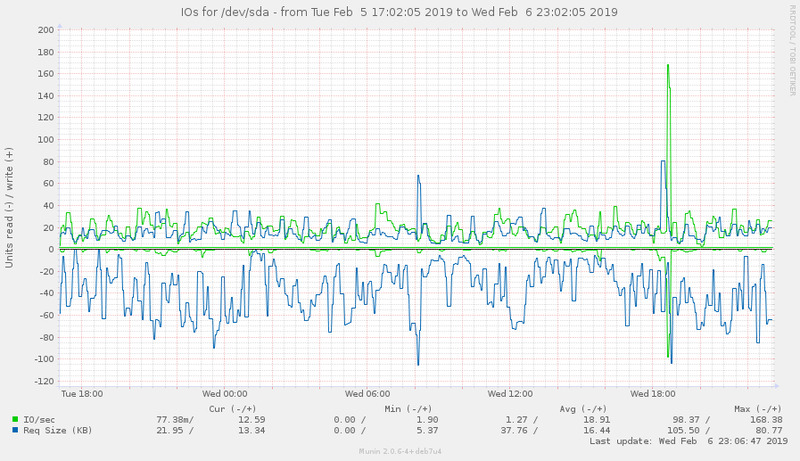 My clusters are now happily responding to queries and load-average is bellow one. Traffic wise things look better too, ~20GB/day. running on a 12 core system. as long as we keep the network running. I think these requests are quite unusual. 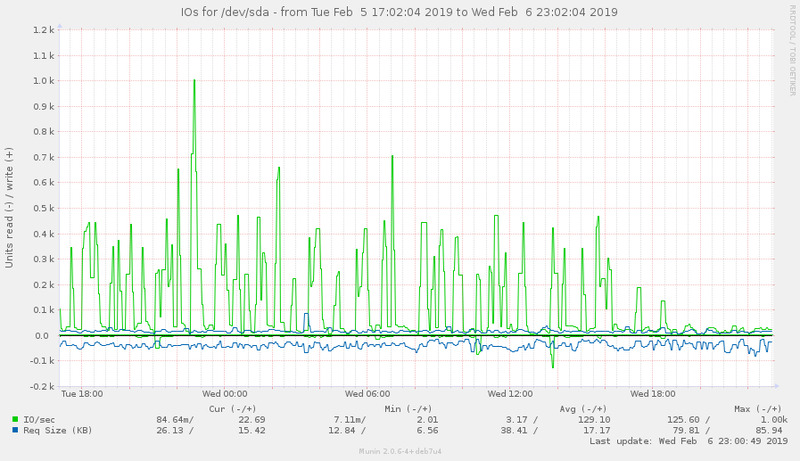 > archive logs that were causing plenty of IO load too. > bellow one. Traffic wise things look better too, ~20GB/day. >> decreased by a factor of two at least for the same time. >> So: where to go and how? >> running on a 12 core system. >> as long as we keep the network running. >> "Action is the foundational key to all success"
Hopefully this can help other operators keep things in better shape for the time being. archive logs that were causing plenty of IO load too. bellow one. Traffic wise things look better too, ~20GB/day.